Today developer Northfear has released a new version of FHeroes2 V1.0 for the Playstation Vita. Check out the release notes, changelog and the download link provided below. 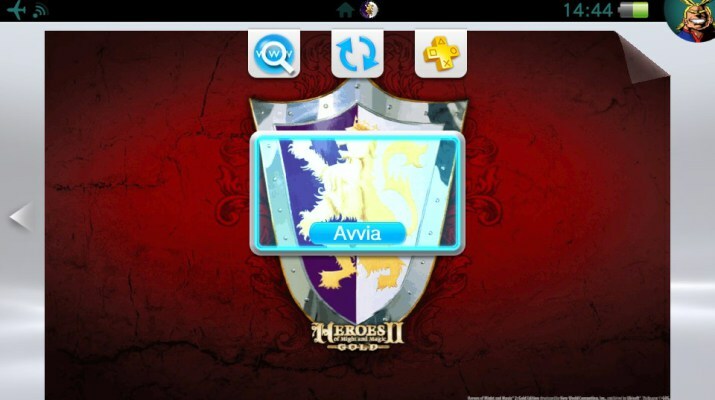 FHeroes2 requires original data files from Heroes of Might and Magic 2. Copy HEROES2.AGG and HEROES2X.AGG (if you have the Price of Loyalty expansion) of the DATA folder in ux0: data / fheroes2 / data e and the MAPS folder on ux0: data / fheroes2 / maps. The GoG version of the game works well. Even the demo version files should work. The music files in OGG format must be entered in ux0: data / fheroes2 / files / music / folder. To make music work with audio from the GoG version, it is necessary to rename some files (at least with my version of the game). If you want to change game options (such as resolution, audio settings, speed of movement or translation), copy fheroes2.cfg from ux0: app / FHOMM0002 / to ux0: data / fheroes2 and edit it. The 960 × 544 resolution is supported, but the performance is not very good (especially during combat). To change the pointer movement speed, edit fheroes2.cfg (copy it from ux0: app / FHOMM0002 / into the ux0 file: data / fheroes2 / first) and change the variable vita_pointer_speed. Touch controls are supported. To change the touch control type or edit the variables vita_touchcontrol_type and vita_touchcontrol_speed in the fheroes2.cfg file. To split a military unit, hold down on it and drag the cursor to the empty cell.